Unexpected and sometimes catastrophic injuries occur to people from a variety of causes every day. If you are the victim of a personal injury, recovering from your injuries is obviously the first priority. But you must also ensure that your legal interests are protected. From the moment an injury occurs, it is essential to have someone advocating for you against those that have harmed you. Our attorneys have experience in a variety of personal injury cases, from car accidents to complex medical malpractice involving all types of damages, from minor injuries to wrongful death. Below are answers to some common questions and a list of the types of cases we handle. Simply put, lawyers have experience in working with insurance companies and other lawyers to resolve claims. 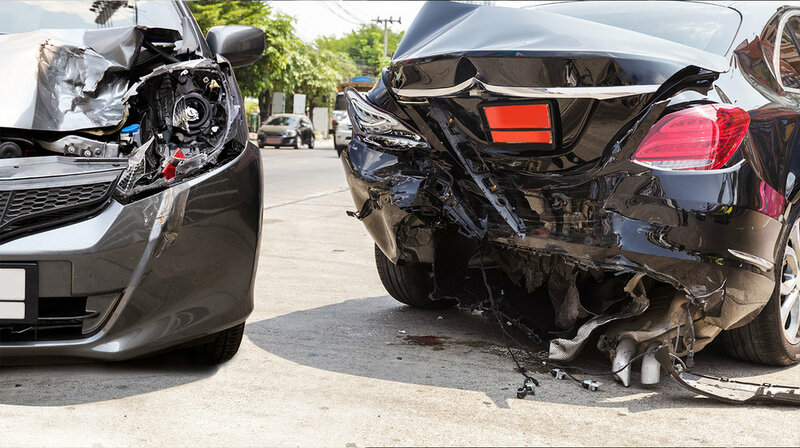 Many individuals have dealt directly with an insurance company to resolve a minor fender bender, but as the injuries or property damage become more complex or when there is a death involved, the assistance of a quality lawyer is invaluable. From a practical standpoint, after an injury, most people are focused on recovering from injuries. While you focus on getting better, a lawyer can focus on protecting your interests. Plus, lawyers can provide valuable perspective and assessment of your damages. Suffering an unexpected injury can be difficult emotionally—having the right lawyer can help provide a steady hand to guide you through an unfamiliar process and make sure you are made whole again. We invite you to call us for a free consultation, and we will do our best to answer your questions. We want you to get to know us, and know about us, before you hire us. Our firm provides personal injury representation on a contingent fee basis. What does that mean? It means that you pay no upfront costs. We get paid only if we can recover money for you. We pay for the expenses associated with pursuing your case, including hiring experts, obtaining medical records, and costs of court, where necessary. If we are able to resolve your claim through settlement or at trial, we are paid a percentage of the recovery, and our expenses our reimbursed. If we do not recover money on your behalf, you owe us nothing. You may be wondering, aren't contingent fee arrangements risky for the lawyers? The answer is yes—there is risk involved for our firm. But we do our best to understand your case before we accept you as a client. While no lawyer can guarantee at the outset how a case will be resolved in the end, we will take your case only if, using our best professional judgment, we think we can help you. WHAT IS IT LIKE TO WORK WITH A lawyer? Once you retain our firm, we are here to represent you. That means, we will become your voice with the insurance company, and if we have to go to court, we will be your advocates at trial. While some disputes can be resolved through negotiation, other cases will require filing a lawsuit and going to trial. We will handle your claim every step of the way, and will keep you informed of the progress. If you have questions, you can feel free to pick up the phone and call us. Accidents happen every hour of every day. From property damage to minor injuries to death, the type of damages that result from accidents vary in every case. An injured party should always remember that insurance companies have an entire team in place working to protect their interests. As the victim of an accident, you are most often at a disadvantage when dealing with an insurance company whose top priority is to pay you the least amount possible or to avoid paying you for your injuries at all. Retaining a quality lawyer can level the playing field. Mistakes can and do happen in the health care field. Physicians, nurses, and other health care providers are susceptible to human error. While medical errors are rarely intentional, if you are harmed or a loved one dies as a result of suspected negligent medical care, it is important to consult an attorney to review the case and determine if the standard of care was met. Medical malpractice cases are often technically complex, so you should ensure that the attorney you retain has experience and skills to pursue your case. Our firm has experience in a variety of medical malpractice cases, and we can help. Another common source of personal injury are conditions that exist on the property of others. Commonly called "slip and fall" cases, these types of injuries can lead to lasting physical injuries and death. Likewise, life altering injuries can be caused by dog bites or other unexpected sources. Regardless of the source, if you are injured due to the fault of another, you should consult a lawyer to determine if you have a case. Faulty products can also lead to injury or death. Design flaws can often go undetected until someone is injured. In certain circumstances, manufacturers are aware of the possibility of injury but still allow the product to be sold and used. If you have been injured by a defective product, you should talk to a lawyer who can investigate your claim. The cases listed above are just examples of the types of personal injury cases we handle. If you are injured or a death occurs and you believe someone else is responsible, consulting an attorney is the best way to determine if you have a case. At Guerrero & Whittle PLLC, your initial consultation is free, and we will spend the time to understand your case and let you know if we can help.